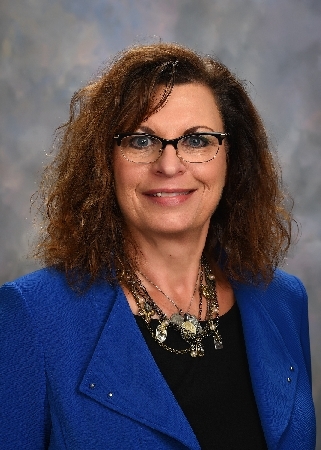 MACOMB, IL – Western Illinois University Business Manager I Julie Terstriep has been named the Al and Elaine Goldfarb Civil Service Employee of the Month for October. Terstriep worked in the WIU Department of Theatre and Dance and the Registrar's Office before coming to Campus Recreation in August 1997. She has worked at Western for more than 20 years. According to her nominator, Terstriep does an "exceptional job in advocating for Western." "She is always promoting 'Proud to be a Leatherneck' across campus and into the community," said her nominator. "Julie has streamlined several of the processes in the office by putting forms online in place of paper forms, making the process much more efficient and more accurate. Her passion for WIU and willingness to help out is contagious to those around her."